What can I say? “Manchester by the Sea” just feels right at number one. “Manchester” is a big epic hidden within the confines of a small indie. This is a tragedy that reveals itself slowly and shockingly in the year’s most ingeniously put together screenplay. There are surprisingly funny and human moments along the way to a tragic twist. 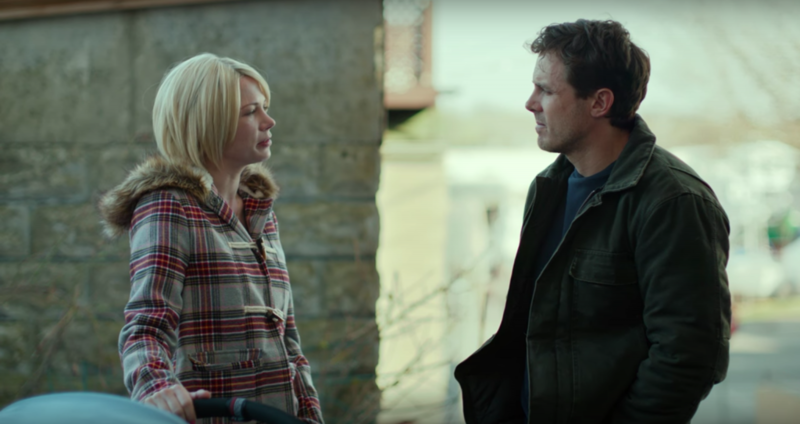 The performances from Casey Affleck and Michelle Williams are revelations, and the characters never feel two dimensional. It’s a testament to this film’s success that no matter how sad things got, I felt like I could stay in the world even longer. By the end, you will love and feel for everyone in the movie. As one of the residents of Manchester, Massachusetts might say, that is wicked cool. “Hell or High Water” proves that westerns never died, they just went into hibernation, and occasionally pop back up in masterful turns. “Hell or High Water” is a perfect slice of West Texas life, with everyone from Chris Pine, to Jeff Bridges, to an incredibly bossy waitress, giving the best performances of their lives. Jeremy Saulnier’s thriller about a punk band facing off against skinheads in a neo-Nazi bar turned out to be the year’s most fun horror movie. It has a hilarious stinger of a closing line and what would tragically be the last performance of Anton Yelchin, a fine young actor who died this summer. You’d think at this point that Martin Scorsese would be able to make whatever movie he pleased. And yet, it still took him around 30 years to bring “Silence” to the big screen. It’s the best kind of labor of love: overlong but not bloated; epic but not dull. While I like Scorsese best when he’s depicting hot heads from Brooklyn and Queens, when he makes something like “Silence,” it feels like you’re staring directly into his soul. This mockumentary about a pop star’s rise and fall and rise is another in a long line of feature length films from The Lonely Island gang (following “Hot Rod” and “MacGruber”) that failed at the box office but is destined for cult status. It contains a multitude of jokes that go on too long and are funny for reasons that are impossible to explain. Sure, you can call it a modern “Spinal Tap,” but that barely taps the surface. This portrait of a young, gay black man’s journey from childhood to adulthood is a beautiful, moving, and much-needed study in empathy. Picking award winners is never easy, but do not be surprised if this runs off with Best Picture at the Oscars. At this rate, director Damien Chazelle (“Whiplash”) will make an entire career out of movies where people wonder whether or not jazz is dead. “La La Land” is simply a wonderful and charming musical. And while Hollywood loves to reward movies that are about movies, “La La Land” has a degree of awareness you might not have found in something like “The Artist.” It’s the rare work of nostalgia that feels reflective rather than pandering. How the hell did the directors of “Weiner” get such unprecedented access to disgraced Congressman Anthony Weiner’s disastrous mayoral campaign? Whatever the reason, we were afforded one of the great political documentaries of our time. The camera feels so free here, lingering on people and letting us see so much as they say so little. Thanks to current events, “Weiner” became more and more relevant by the day, wavering constantly between comedy and tragedy. Years from now, we might be able to look back at “Weiner” and laugh. For now, I just want to cry. Anthology series have always been successful on television, but they’re rarely done in movies. This “Cloverfield” is even better than the last. “10 Cloverfield Lane” is 105 minutes of just three people in a bunker, waiting out a possible apocalypse. The ending will either blow you away, or infuriate you, but either way, you won’t be able to get it out of your head. Unlike the rest of us, Disney had a very good 2016, and it was “Moana,” not “Star Wars” or “Zootopia,” that I adored most. Besides having some of the best tunes in any Disney musical in recent years (take that, “Frozen”), it also feels like a new direction for them, all while sticking with the usual formula. It’s a Disney Princess story that doesn’t rely on a prince, and one in which the princess gets to choose between either being chief of her island, or exploring the world. It’s a small dash of hope that maybe Hollywood will be able to hold off the major cultural changes that Trump’s America will bring.